Written by an experienced walker and historian, this book follows the new "Harold's Way" footpath route through London, Kent and Sussex. 1066 Harold's Way is a new 100 mile long distance walk from Westminster Abbey to Battle Abbey, East Sussex tracing the probable route of King Harold's journey to the Battle of Hastings. 1066 Harold's Way creates an alternative north – south destination for walkers and is to be seen as an option to existing long distance footpaths such as the North Downs Way and the South Downs Way to the west. Perhaps this epic, historic, emotive and challenging walk. The Walk has been produced with the support of Kent County Council, Sussex County Council and Stagecoach buses, and in association with The Long Distance Walkers Association, Kent Area Ramblers and Rother Ramblers. This book follows the Walk, breaking it down into 10 bite-sized chunks for leisure walkers, with each section ending at a public transport link to take the walker back to the start. The difficulty of each section is carefully appraised, maps are included along with historical data on the events of 1066 and notes about sights passed by the walker. 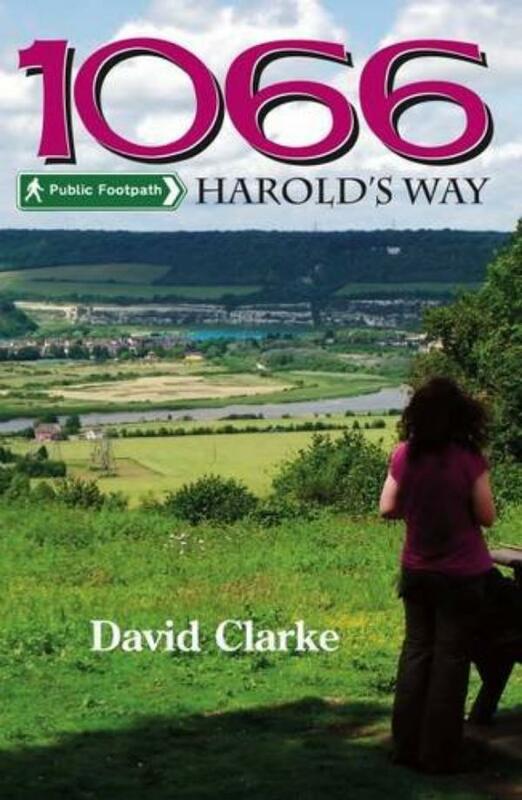 David Clarke was involved in creating the "1066 Harold's Way" footpath. He is an experienced walker and historian who has done much to reappraise the military skills and decisions of Harold in that fateful autumn of 1066 when the future of England hung in the balance.